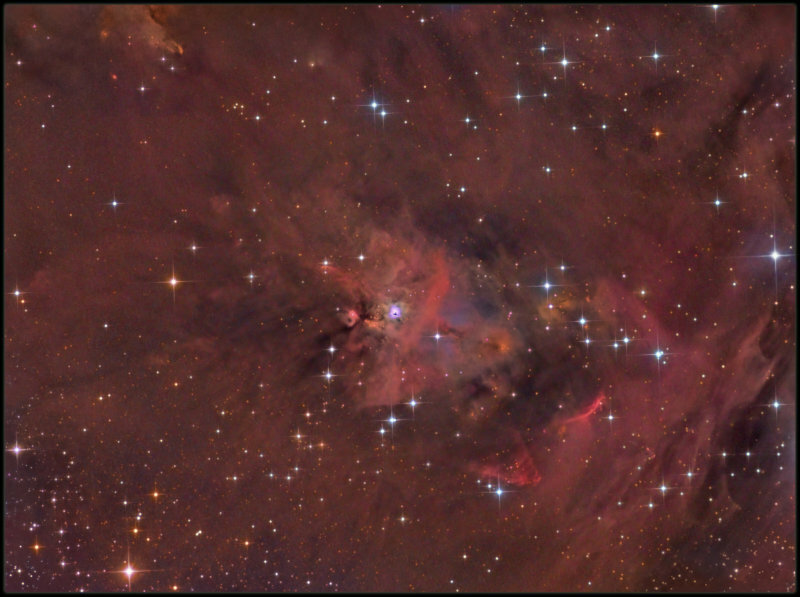 Located in the Great Orion Molecular Cloud Complex just south to the famous M42 (to the Right of this image), lyes this interesting yet forgotten region of the sky. NGC 1999 is a dust filled bright nebula with a vast hole of empty space represented by a black patch of sky, as can be seen in center of this photograph. Imaged with Boren-Simon 10" F/2.8 POWERNEWT Astrograph. SBIG ST8300M camera with FW5 filterwheel and BAADER Ha-LRGB filters. Kfir Simon is really good at image processing!